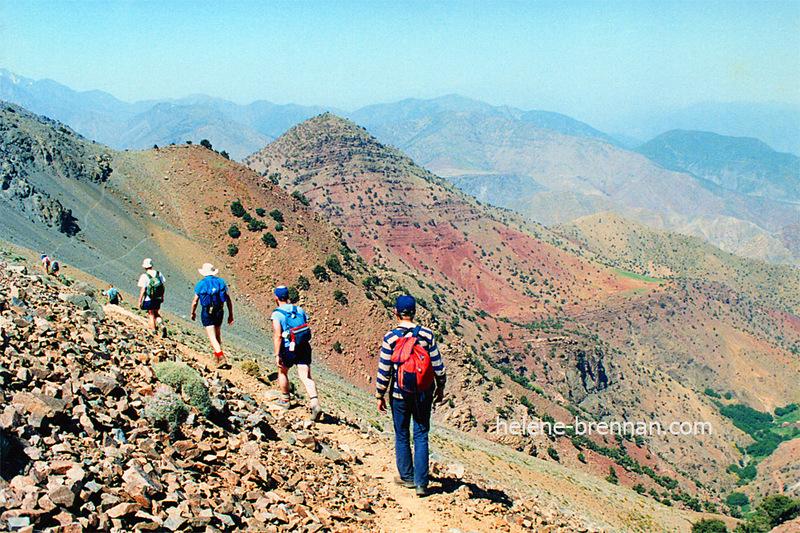 A group of tourists walking in the colourful landscape of the High Atlas mountains. Unframed, no mount, easy to post. Framing available, please enquire.